North Holland Gouda XO is ripened on wooden shelves for at least 24 months. This cheese has a strong spicy flavour, but is still a little creamy. In the past the province of North Holland used to be sea. The meadows in North Holland are below sea level. This makes the grass tender and nutritious. The cows in North Holland eat this grass. That makes the milk full and creamy. Because of this unique milk North Holland Gouda is more creamy and has less salt. Especially our aged and old Gouda have a unique creamy bite. 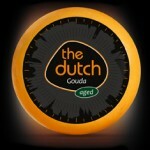 Our North Holland Gouda cheeses are produced in a small factory in Lutjewinkel. The Dutch North Holland Gouda is unique for Hong Kong and China. This cheese is a real Dutch specialty.